Lenovo has unveiled two new Chromebooks, including a very flexible model that can turn into a free standing touchscreen laptop. 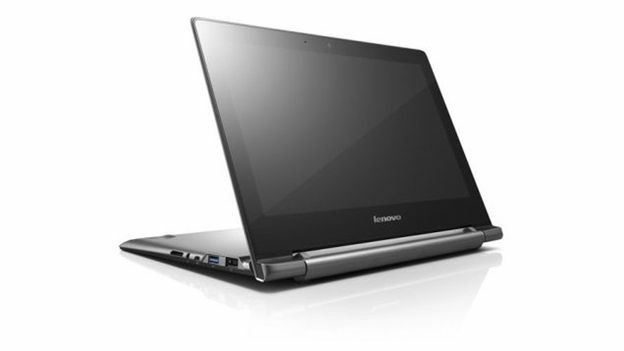 The new Lenovo N-series comes in two flavours, the more traditional N20 and the more flexible N20P. Both laptops come with the latest version of Google's Chrome OS installed. They also feature Celeron processors, and come with the same 720p 11.6-inch screen, 4GB RAM and 16GB internal SSD. They also come with 100GB of Google Drive space, Bluetooth 4.02, HDMI, card reader, two USB ports and an eight hour battery life. Specs wise, that's roughly the same as the Acer 720 – currently considered to be the best Chromebook available. Where Lenovo's new range sets itself apart from the competition though is the N20P's hyperflexibility. Most laptops screens can rotate around 120 degrees from closed. The Lenovo N20P can rotate 300 degrees. That means it can essentially flip itself over and use its keyboard base as a stand. The N20P also comes with a ten-point touch screen. According to Lenovo, the N20 will be available in the US in July, while the N20P will land one month later in August. There's no word on UK launch dates yet, but we'll let you know when we find out. Both will be available through Lenovo's website for $279 (£165) and $329 (£195) respectively.